Sticker of a Christmas ribbon to highlight your shop in the city. Perfect to decal to decorate your shop front window. Get into the Christmas mood with this wall sticker. 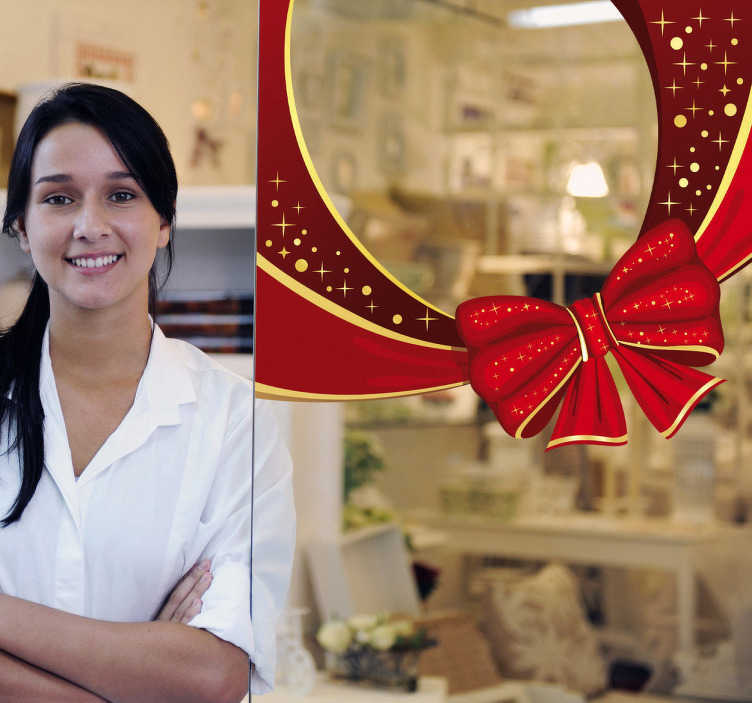 Make your shop look warm and friendly during this season. People will love this sticker. It will have everyone visiting your shop. No complicated procedures at all. It is easy to apply.